At Stone Revellers we pride ourselves on being an open society, every part in every show is up for grabs, we base all our casting decisions on the audition alone. 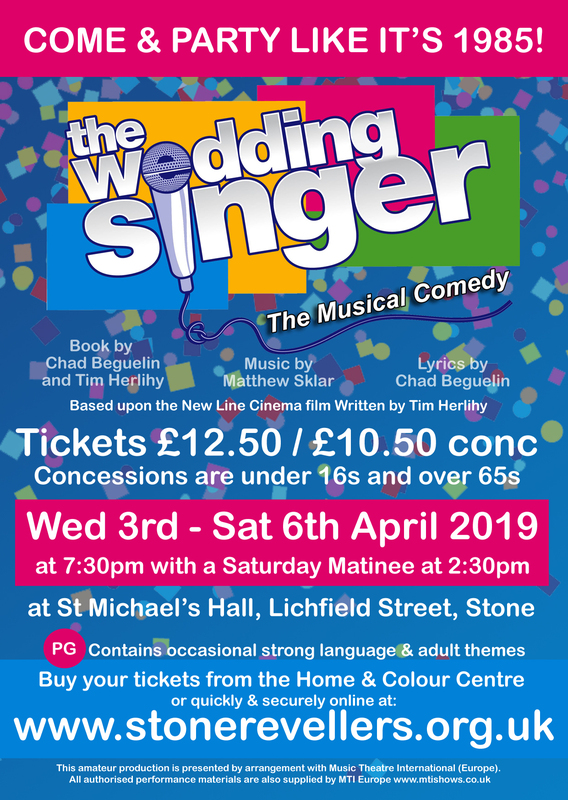 Our next auditions will take place on 11th and 16th December for our next musical, THE WEDDING SINGER. Click here for full information. There is a workshop on the 10th December at 7.30pm that you are welcome to attend. To make sure you hear about auditions and show dates in good time, like & follow us on Facebook and Twitter! You can also sign up to our mailing list to be kept up to date – check out the sign-up button just below in the footer.